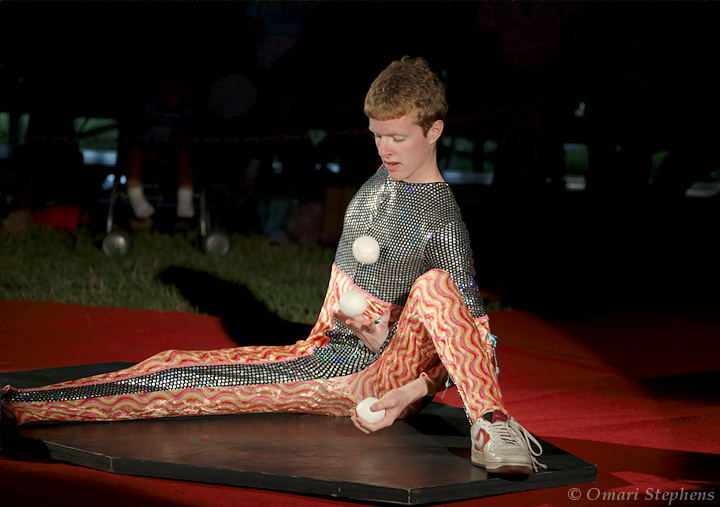 I was off visiting MIT for about a week, and while I was there, I ended up going to a Circus Smirkus show with Nate and some other folks. Put simply, I was floored. 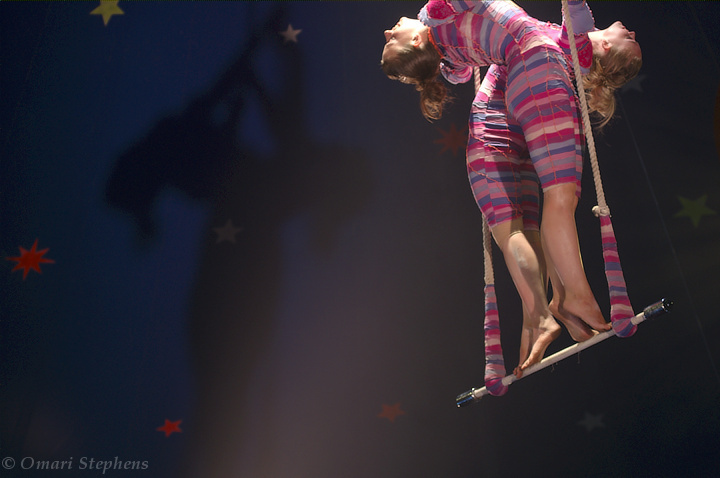 Overall, it was a pretty solid, enjoyable show, and there were a couple of acts that really blew me away. 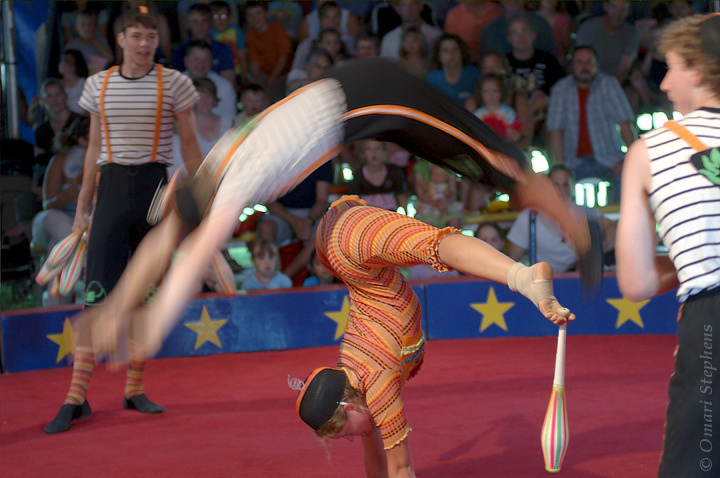 The opening photo is from one such act. 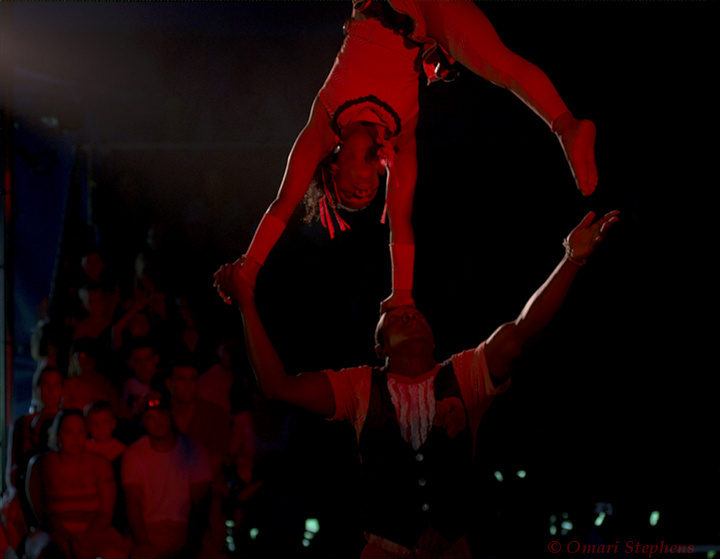 One of the challenges shooting at the circus was the constantly-changing ambient light. That, in addition to spots that were almost always on meant that every once in a while, the camera's metering system would get tricked and I'd end up with a badly underexposed image. Thankfully, shooting in RAW means that there's enough data to recover. So over the past few weeks, I've been slowly digging through my archives in an attempt to put together a portfolio. That whole process isn't going to be helped by intercal (my main workstation) going in a box for its trip across the country, but on the upside, I shot at least one or two photos during the trip (including a sub-trip to NYC) which will likely make it into the portfolio; yay! <@spectie> the pronunciation is "eff-why-are-oh-emm"
<@spectie> /ɛf wi ɑː əʊ ɛm/ And finally, some more photos from Smirkus.